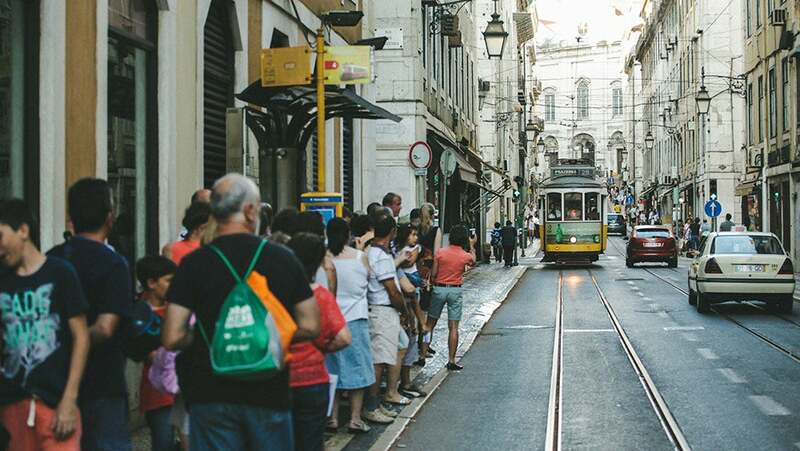 For much of the 20th century, businesses were focused on extracting resources, creating products, and providing services that simply met the needs of their customer. And yet, as they focused on what the customer was purchasing, very little emphasis was put towards how customers interacted with the company as a whole. Perhaps your checked bag went missing after a recent enjoyable flight, or your speedy internet provider overcharged you, and a customer service representative couldn’t figure out why. During his workshop on incorporating service design as a startup, Marc Mueller, a UX researcher at Universal Mind, noted that commodities are fungible, goods are tangible, services are intangible, and experiences should be memorable. As a startup, there’s ample opportunity from day one to consider every touch point you will have with a customer – from their first interaction with your website to purchasing your product. Mueller followed by asking a thought provoking question to the room: How do you craft an experience that helps you compete with (or beat) the incumbents of your industry? Service design experts suggest that when you place equal value on the customer experience and the business process within every decision, you’ll have created a memorable interaction that will keep customers coming back for more. To execute service design as a business, determine how and where these four concepts fit into your business strategy: guests and hosts, actors and staging, narratives and encounters, or choreography. It might sound a bit like Westworld, and there’s good reason for that. A well-executed service design places a heavy emphasis on ensuring that the four concepts mentioned above have your value proposition in mind. They understand your brand, how you communicate, and what leads to a successful delivery of your product or service. Ultimately, it affects every aspect of your business, not limited to your bottom line. Consider the premium consumers pay for an Apple or Patagonia product and the experience they have in their retail stores. Buying a computer or jacket at Walmart might cost you less, but the experience and quality is worlds apart. Mueller proposed the exercise of thinking deeper about how you draft personas of your target customers. Most entrepreneurs build a persona based on how the marketing world views a customer, focusing on buying motivations and behaviors. This is fine for determining how to sell the product, but not how the product should work. Instead, consider the way a designer would draft a persona. The focus shifts to user goals, behaviors, and pain points, which helps tell the story of why a user chose a specific product versus an alternative. This deeper understanding helps to build empathy between the company and their user – the beginnings of a valuable experience. 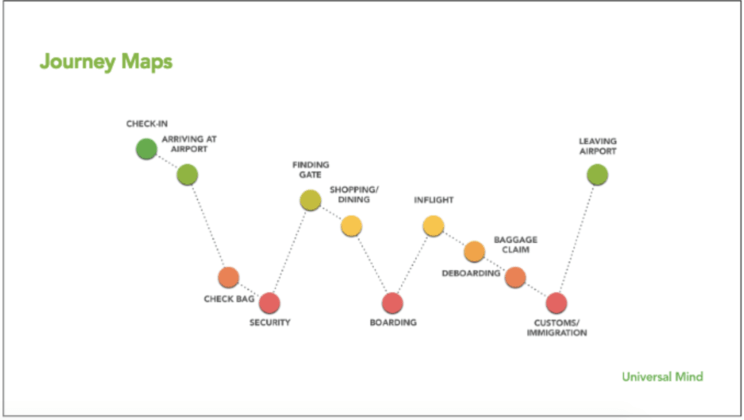 To help dissect how that customer interacts with your product or service, and the pain points that exist within that process, let’s look at an experience at an airport through the use of a journey map. Journey maps are a visualization of the journey a persona typically goes through as part of their service experience. The x-axis in this case is time, and the y-axis is the emotional state of someone going through the airport. Once you’ve mapped out your customer’s journey, you’ve got the makings for a blueprint about your company’s service design. Mueller suggests that every company, big or small, has the ability to spread their resources across the following three categories: Operational Excellence, Product Leadership, and Customer Intimacy. It’s within this realm that companies like Apple and Microsoft can compete in the market yet craft different experiences for their target customer based on their goals and pain points. The post How Is Your Business Supporting Your Customers? appeared first on Galvanize.